Liven up your holiday party this year with spirited beverages…Cheers! Pour the vodka, peppermint schnapps and club soda over a handful of ice in a cocktail shaker. Shake once, stir then pour into a chilled martini glass. Hang a mini candy cane over the lip of the glass. Makes 1 drink. Combine the sugar and water in a saucepan and bring to a boil over medium heat, stirring continuously as the sugar dissolves. Reduce the heat to medium-low. Dip a brush in hot water and wipe down the sides of the pan where crystals may be clinging. Boil for another 3 minutes, and then remove from heat. Let the syrup cool and refrigerate in a covered container. The syrup will last indefinitely. Wet the rim of a chilled martini glass or other footed glass with simple syrup, and dip in chocolate sprinkles to coat. 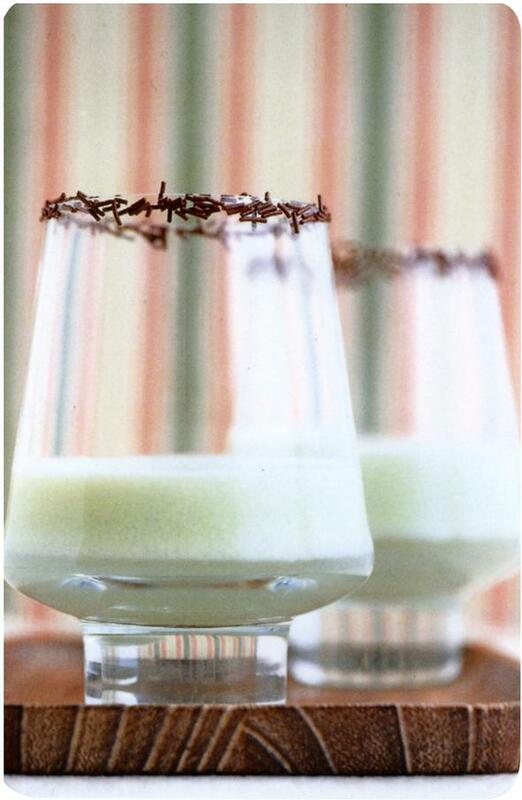 Pour the tequila, cream, crème de cacao, and crème de menthe over a handful of ice in a cocktail shaker. Shake until very cold, and then strain into prepared glass. Makes 1 drink. 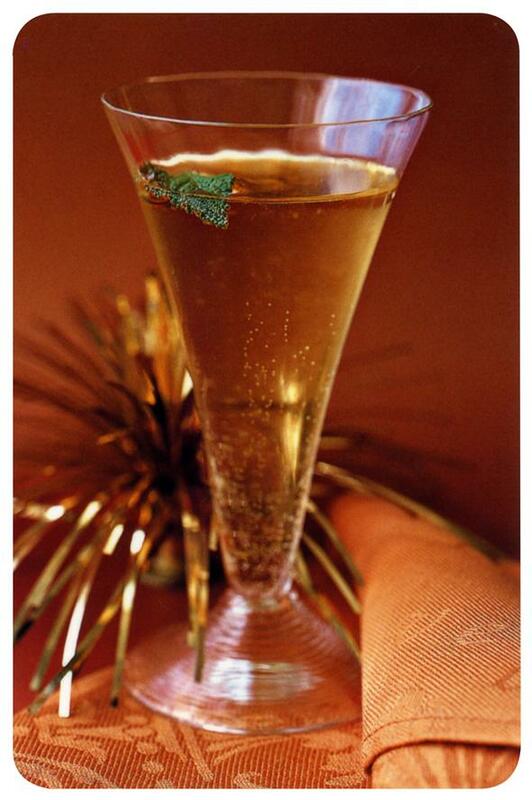 Pour the peach liqueur into a red wineglass or trumpet flute, then add the Champagne. Stir gently. Garnish with the mint sprig. Makes 1 drink.